Traditionally, research on the history of Asian religions has been marked by a bias for literary evidence, privileging canonical texts penned in ‘classical’ languages. Not only has a focus on literary evidence shaped the dominant narratives about the religious histories of Asia, in both scholarship and popular culture, but it has contributed to the tendency to study different religious traditions in relative isolation from one another. Today, moreover, historical work is often based on modern textual editions and, increasingly, on electronic databases. What may be lost, in the process, is the visceral sense of the text as artifact – as a material object that formed part of a broader material culture, in which the boundaries between religious traditions were sometimes more fluid than canonical literature might suggest. This volume brings together specialists in a variety of Asian cultures to discuss the methodological challenges involved in integrating material evidence for the reconstruction of the religious histories of South, Southeast, Central, and East Asia. By means of specific ‘test cases,’ the volume explores the importance of considering material and literary evidence in concert. What untold stories do these sources help us to recover? How might they push us to reevaluate historical narratives traditionally told from literary sources? By addressing these questions from the perspectives of different subfields and religious traditions, contributors map out the challenges involved in interpreting different types of data, assessing the problems of interpretation distinct to specific types of material evidence (e.g., coins, temple art, manuscripts, donative inscriptions) and considering the issues raised by the different patterns in the preservation of such evidence in different locales. Special attention is paid to newly-discovered and neglected sources; to our evidence for trade, migration, and inter-regional cultural exchange; and to geographical locales that served as "contact zones" connecting cultures. 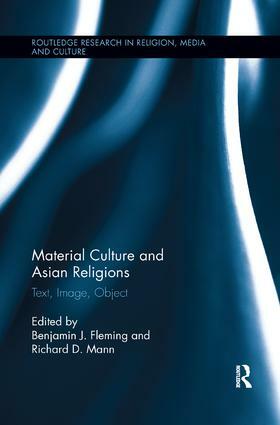 In addition, the chapters in this volume represent the rich range of religious traditions across Asia – including Hinduism, Buddhism, Taoism, Shinto, and Chinese religions, as well as Islam and eastern Christianities.